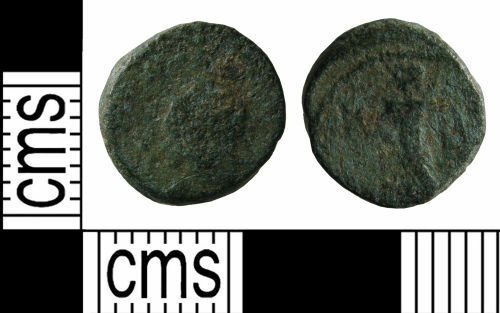 A copper-alloy nummus possibly of the House of Theodosius dating to the period AD 388 to 395 (Reece period 21). Possibly VICTORIA AVGGG reverse type depicting Victory advancing left. Mint unclear.